The family of a former Florida State student has filed suit against Alpha Epsilon Pi after the student was found unresponsive and ultimately died during the fraternity’s “scumbag of the week” ritual. Also listed in the lawsuit are eight members of the fraternity’s leadership. The victim was just 20 years old and was a junior student who had just transferred to FSU. He was studying civil engineering and was a Pi Kappa Phi pledge. He died of alcohol poisoning during a fraternity party that was being held off campus. Tallahassee Police interviewed some 50 people during the investigation for the case, and four people were charged with misdemeanor hazing charges after the investigation concluded. It’s not uncommon for sororities and fraternities, as well as individual sorority and fraternity members, to be named in wrongful death and personal injury lawsuit, but what comes as a surprise to some people is that the universities that host these Greek organizations can also sometimes be held liable depending on the circumstances. Special Relationship Assumed Duty – When a university assumes the responsibility for their students’ safety, it could also be assuming the liability in events that result in one of their students getting injured, including Greek parties. Premises Liability – If a college owns the sorority or fraternity house, or the property where the injury occurred, then the college could be found accountable under premises liability laws. These laws could show that the college failed to take the reasonable steps necessary to ensure that the student was protected from danger. However, this negligence typically only extends to circumstances that foreseeably could result in injuries to students, including those acts that are committed by outside third-parties such as fraternities and sororities. Social Policy – In some circumstances, universities have been held responsible under the social policy negligence theory based on them exercising at least a certain amount of control over sororities and fraternities, especially if they were aware of previous hazing incidents and failed to prevent subsequent hazing incidents. When these universities fail to step in and take the steps necessary to end hazing incidents, these incidents are almost always brought to light and result in the university opening themselves up to liability. Personal injury and wrongful death claims resulting from Greek life incidents can be complex for a variety of reasons. The claims can involve multiple parties ranging from individuals, to the Greek organization, and even the university itself. 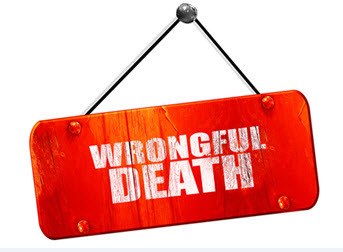 Knowing who is to blame often requires the skill of an experienced Florida personal injury and wrongful death attorney. The attorneys at Leifer Law Firm have years of experience handling wrongful death and personal injury cases and can review the circumstances surrounding your incident and determine what your legal options are. Contact us today to schedule a consultation at one of our conveniently located Florida offices.